^ Engel 2001, p. 334. ^ a b Engel 2001, p. 264. ^ Kontler 1999, p. 109. ^ Daniel 1992, pp. 56–57. ^ Engel 2001, p. 369. ^ a b Kontler 1999, p. 150. ^ a b Daniel 1992, p. 58. ^ Daniel 1992, p. 49. ^ Molnár 2001, p. 85. ^ Kontler 1999, p. 136. ^ Daniel 1992, pp. 49, 51. ^ a b Molnár 2001, pp. 87–88. ^ Daniel 1992, p. 51. ^ Molnár 2001, p. 89. ^ a b c Cartledge 2011, p. 83. ^ a b Kontler 1999, p. 140. ^ a b c Ritchie 2014, p. 21. ^ Barta 1994, p. 254. ^ a b Szegedi 2009, p. 101. ^ Keul 2009, p. 22. ^ Keul 2009, p. 28. ^ Engel 2001, pp. 337–338. ^ Daniel 1992, p. 59. ^ MacCulloch 2003, p. 251. ^ a b Keul 2009, p. 54. ^ Keul 2009, p. 62. ^ Keul 2009, p. 69. ^ Szegedi 2009, p. 231. ^ Keul 2009, p. 74. ^ Szegedi 2009, pp. 229–230. ^ Keul 2009, p. 77. ^ a b Ritchie 2014, p. 25. ^ a b Ritchie 2014, p. 32. ^ a b Cartledge 2011, p. 84. ^ Keul 2009, p. 94. ^ Barta 1994, p. 288. ^ Barta 1994, pp. 288–289. ^ Keul 2009, p. 95. ^ Molnár 2001, pp. 92–93. ^ Keul 2009, pp. 95–96. ^ MacCulloch 2003, p. 252. ^ a b c Keul 2009, p. 90. ^ Ritchie 2014, p. 24. ^ Keul 2009, p. 96. ^ Keul 2009, pp. 92, 96. ^ Barta 1994, p. 259. ^ a b Keul 2009, p. 100. ^ a b c Keul 2009, p. 103. ^ a b c d Keul 2009, p. 104. ^ a b c d Harris 2009, p. 139. ^ Keul 2009, p. 5. ^ Keul 2009, p. 107. ^ MacCulloch 2003, p. 88. ^ a b Ritchie 2014, p. 40. ^ a b Williams 1992, p. 43. ^ a b c d Ritchie 2014, p. 16. ^ MacCulloch 2003, p. 238. ^ a b Keul 2009, p. 105. ^ Harris 2009, p. 57. ^ Ritchie 2014, p. 23. ^ Harris 2009, pp. 56–57. ^ Williams 1992, p. 1110. ^ a b c Keul 2009, p. 108. ^ a b Szegedi 2009, p. 235. ^ MacCulloch 2003, p. 254. ^ Keul 2009, pp. 108–109. ^ a b c d Williams 1992, p. 1112. ^ Keul 2009, pp. 109–110. ^ a b Keul 2009, p. 110. ^ a b c Erdő 1993, p. 25. ^ Keul 2009, p. 111. ^ a b c d e Williams 1992, p. 1113. ^ Harris 2009, p. 280. ^ Ritchie 2014, p. 22. ^ a b c Molnár 2001, p. 110. ^ MacCulloch 2003, pp. 255–256. ^ Keul 2009, pp. 111–114. ^ Keul 2009, pp. 114–115. ^ a b Barta 1994, p. 260. ^ Barta 1994, p. 118. ^ Keul 2009, p. 118. ^ a b c Ghitta 2009, p. 261. ^ a b Keul 2009, p. 134. ^ a b Harris 2009, p. 469. ^ a b Keul 2009, pp. 121–122. ^ a b c d Lendvai 2003, p. 110. ^ a b Barta 1994, p. 290. ^ Cartledge 2011, p. 92. ^ Kontler 1999, p. 152. ^ Keul 2009, pp. 160–161. ^ Keul 2009, p. 168. ^ a b Keul 2009, pp. 176–177. Barta, Gábor (1994). “The Emergence of the Principality and its First Crises (1526–1606)”. In Köpeczi, Béla; Barta, Gábor; Bóna, István et al.. History of Transylvania. Akadémiai Kiadó. pp. 247–300. ISBN 963-05-6703-2. Cartledge, Bryan (2011). The Will to Survive: A History of Hungary. C. Hurst & Co.. ISBN 978-1-84904-112-6. Daniel, David P. (1992). “Hungary”. In Pettegree, Andrew. The early Reformation in Europe. Cambridge University Press. pp. 49–69. ISBN 0-521-39768-5. Erdő, János (1993). 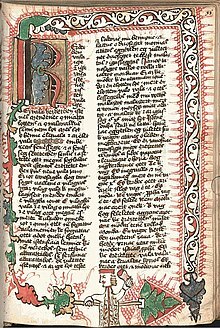 “A tordai ediktum teológiai alapjai [The theological bases for the Edict of Torda ”] (ハンガリー語). Keresztény Magvető 99 (1): 24–29. ISSN 1222-8370. http://eda.eme.ro/bitstream/handle/10598/18292/KM_1993_01_024.pdf?sequence=1. Ghitta, Ovidiu (2009). “The Orthodox Church of Transylvania (The 16th century–the second half of the 17th century)”. In Pop, Ioan-Aurel; Nägler, Thomas; Magyari, András. The History of Transylvania, Vol. II (From 1541 to 1711). Romanian Academy, Center for Transylvanian Studies. pp. 254–269. ISBN 973-7784-04-9. Harris, Mark W. (2009). The A to Z of Unitarian Universalism. Scarecrow Press. ISBN 978-0-8108-6817-5. Keul, István (2009). Early Modern Religious Communities in East-Central Europe: Ethnic Diversity, Denominational Plurality, and Corporative Politics in the Principality of Transylvania (1526–1691). Brill. ISBN 978-90-04-17652-2. Lendvai, Paul (2003). The Hungarians: A Thousand Years of Victory in Defeat. Hurst & Company. ISBN 1-85065-682-7. MacCulloch, Diarmaid (2003). The Reformation: A History. Viking. ISBN 0-670-03296-4. Ritchie, Susan J. (2014). Children of the Same God: The Historical Relationship Between Unitarianism, Judaism, and Islam. Skinner House Books. ISBN 978-1-55896-725-0. Szegedi, Edit (2009). “The Birth and Evolution of the Principality of Transylvania (1541–1690); The Reformation in Transylvania: New Denominational Identities; Confessionalization”. In Pop, Ioan-Aurel; Nägler, Thomas; Magyari, András. The History of Transylvania, Vol. II (From 1541 to 1711). Romanian Academy, Center for Transylvanian Studies. pp. 99–111, 229–254. ISBN 973-7784-04-9. Williams, George Huntston (1992). The Radical Reformation. Truman State University Press. ISBN 978-0-94354-983-5.